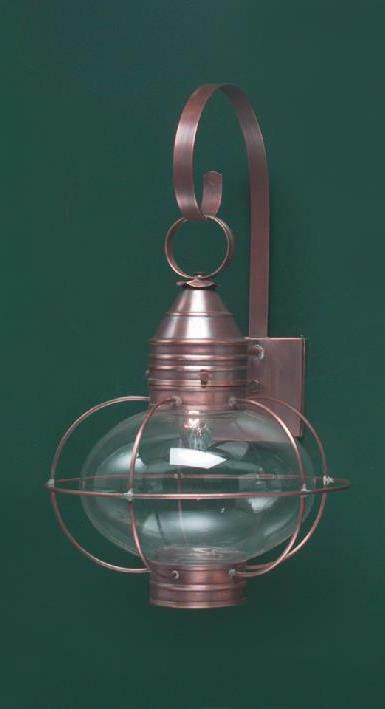 Hammerworks reproduction Onion Wall Light OL10 is among our most popular Colonial Wall Lanterns. 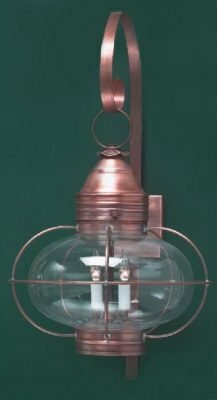 Most importantly, we handcraft this classic Cape Cod Colonial Onion Wall Lantern from solid copper or solid brass. Furthermore, coordinate it with any Colonial Post Onion Lantern and Copper Hanging Onion Lights. Also, since we make each Onion Wall Light in several sizes, you will find one just right for your space. In addition, customers often use Colonial Onion Wall Lights in a variety of indoor & outdoor settings. Other than placing an onion wall lantern on your home’s exterior, interior uses range throughout your home. Therefore from entrance halls to family rooms, bedrooms & bathrooms onion wall sconces are ideal. On top of that, the simple style complements just about any decor. 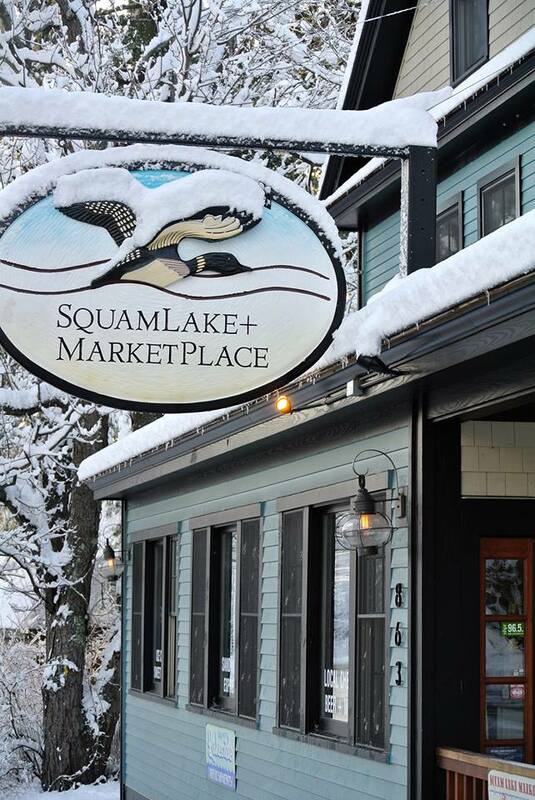 At Hammerworks, you will always find a matching New England Post or Hanging Onion Lanterns. This allows you to create a coordinated theme among your onion light selections. As always, we offer onion wall, post & hanging Lanterns in several different sizes. Furthermore, we use either a round or onion shaped clear glass globe. Of course if you prefer, you can choose a contrasting design for your post or hanging lantern and it will still blend nicely with any onion wall light fixture. Especially relevant, the best feature of an onion wall light is its simple design. Above all, the classic simplicity of onion lights is so versatile it allows for countless possible combinations. Consequently, mixing and matching with other Colonial lantern styles is common. 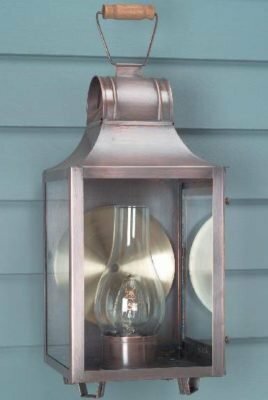 Therefore, if you choose a pair of Cape Cod Colonial Wall Lights W106 for the front entryway, consider Brass Onion Wall Lights OL8 for the side or back of your home. The Early American Home Wall Light Princeton W116 is another great choice to complement an onion wall sconce.